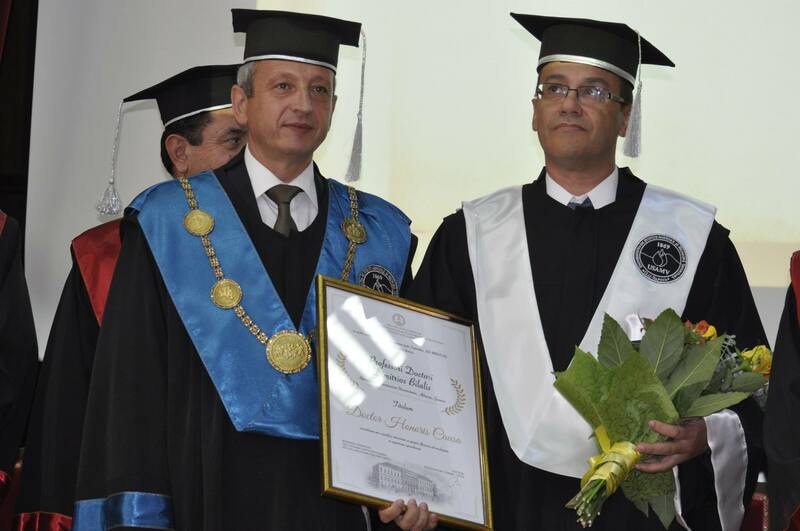 Dr. Dimitrios Bilalis, Professor of Organic Agriculture at Agricultural University of Athens, received the honorary title of Doctor Honoris Causa of University of Agricultural Sciences and Veterinary Medicine Cluj-Napoca in the context of celebration of 40 years of Horticulture Education in Cluj-Napoca. 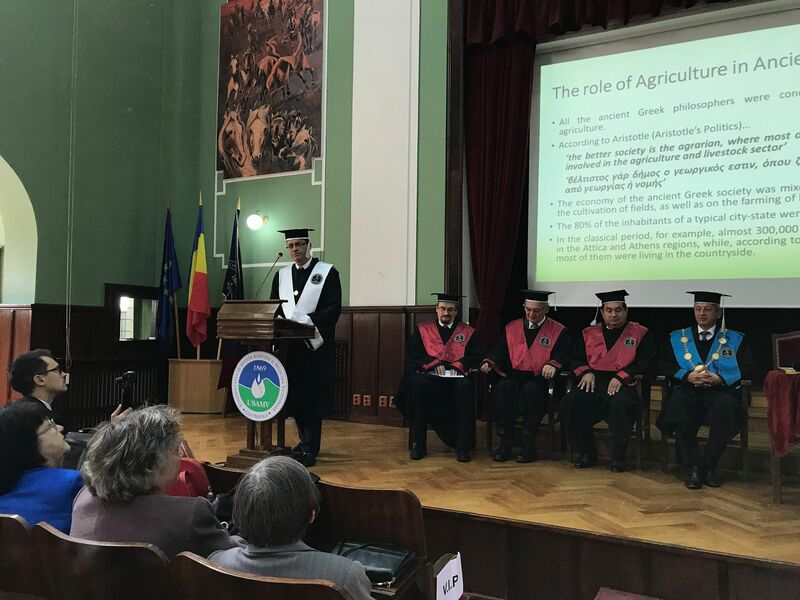 The ceremony was honored by the presence of the former Prime Ministers of Romania Dacian CIOLOŞ, Sorin Mihai CÎMPEANU and Emil BOC, Rectors and Deans of Romanian Agricultural Universities as well as Professors and Researchers of other countries. He was awarded for his contributions to Organic Agriculture. 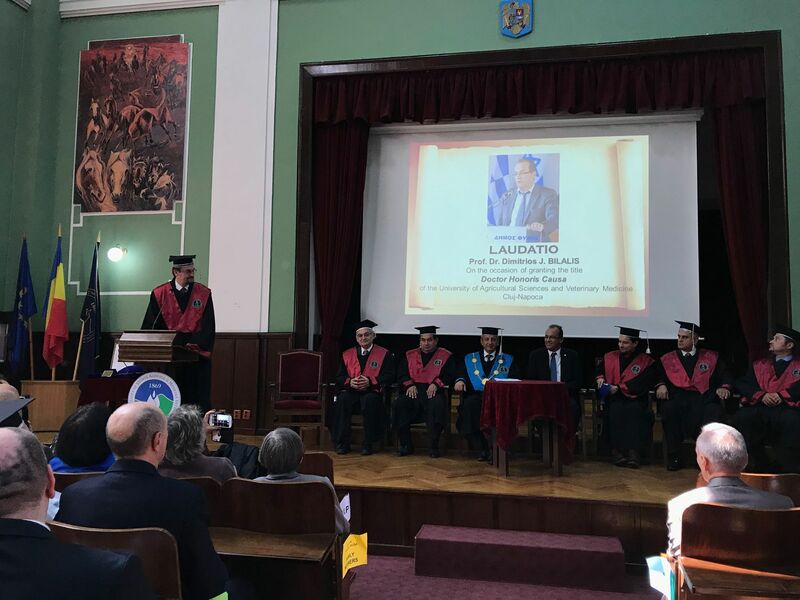 The presentation ceremony at UASVM Cluj-Napoca was held on September 27, 2017. “Students of the world...citizens of the world!” , workshop for incoming and outgoing Erasmus students. 11th International Hydrogeological Congress of Greece "Protection of Aquifers, Vulnerability and Mitigation Measures"